THEXMOND is back with two mad songs. The crooner of a track titled Egbawao in 2010 after university and till date and forever Egbawao has been relevant. Egbawao which translates into deliver us, speaks about happenings in our country Nigeria, and forecast prophetically the future 20 years from now (Egbawao), boasting an awesome pedigree in its production crew of such names like GARRAGE BOY, with the mix by none other than the nationally acclaimed INDO-MIX. 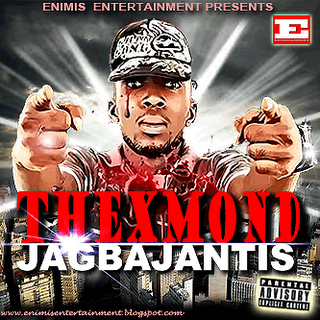 Thexmond is back with two joints titled JagbaJantis and Let's Gather, a word made popular by a pioneer in no less a personality than the award winning SOUND SULTAN which means the real mis-understanding. JagbaJantis is a street song proudly brought to you by enimis entertainment for your listening pleasure. Dowload the two tracks below.